PARIS (Reuters) – A Paris-Cairo EgyptAir flight crash that killed everyone on board in May 2016 was likely to have been caused by a cockpit fire, but Egyptian authorities have not appeared to follow up on calls for further probes, French investigators said. The statement, by France’s BEA air accident investigation agency, contradicts an earlier assessment by Egyptian authorities who cited the discovery of trace elements of explosives on human remains, suggesting it was a malicious act. The crash killed all 66 people on board, including 12 French nationals. The BEA said Egyptian investigators had not published their final report and not followed up on its proposals for further work on the debris. EgyptAir was not immediately available for comment. The case was handed to judicial authorities after the Egyptian assessment of the cause given in December 2016. 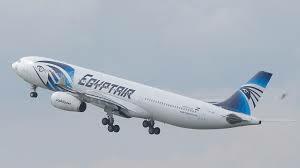 “The BEA considers that it is necessary to have this final report in order to have the possibility of understanding the cause of the accident and to provide the aviation community with the safety lessons which could prevent future accidents,” it said in the statement, adding that it was ready to resume work with Egyptian authorities, if they were to restart the probe. It is extremely unusual that investigators from the country that is not leading the investigation would publicly comment on it. Any disagreement would usually be expressed confidentially and public comments could be a sign of serious divergences.